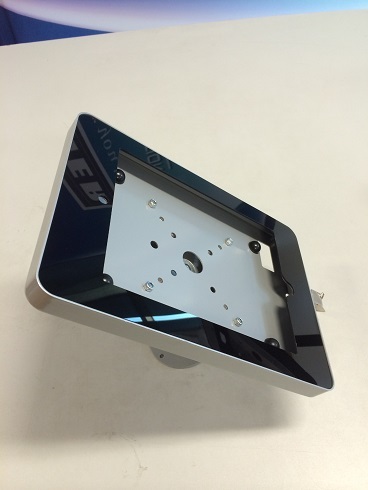 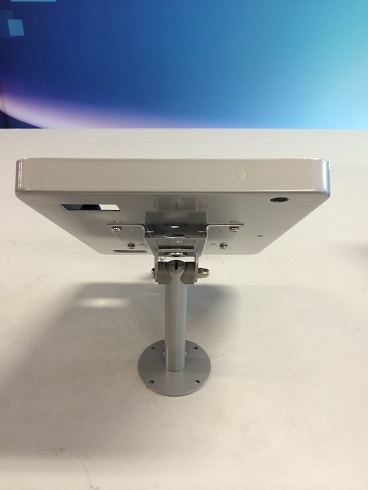 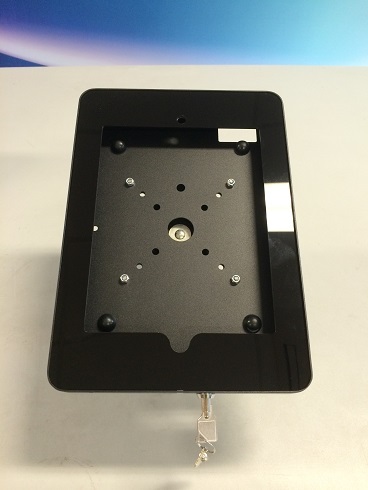 Metal construction with a plate base, designed for Apple iPad 2, 3, 4 or Air. 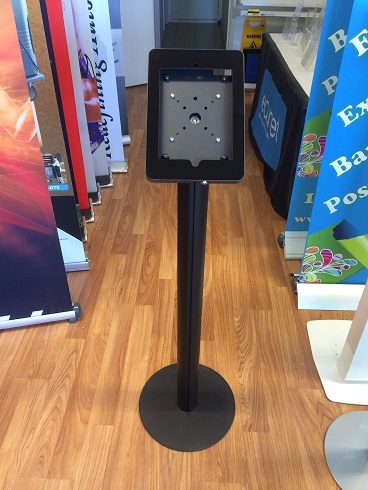 This entry was posted in iPad Stand on October 20, 2014 by admin. 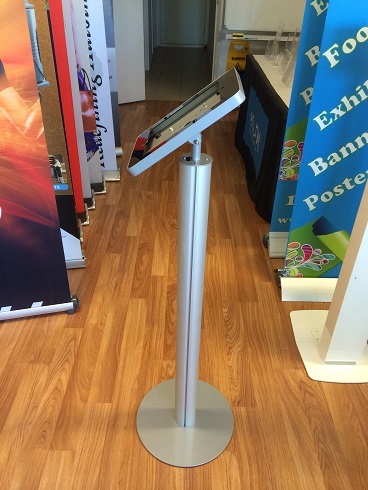 iPad Stand for tabletop. 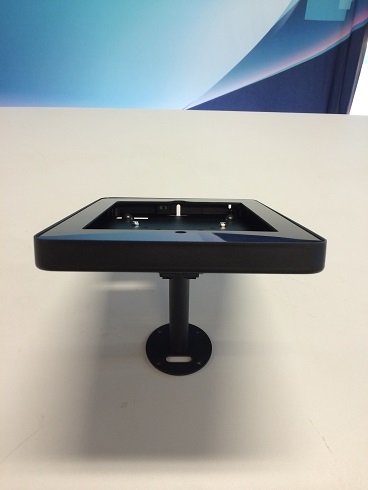 It can be bolted on tables or counters. 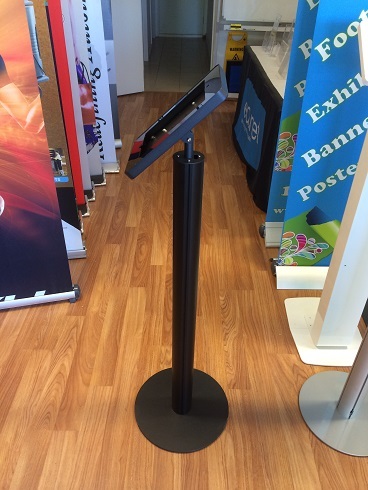 Holder can be rotated to almost any angle. 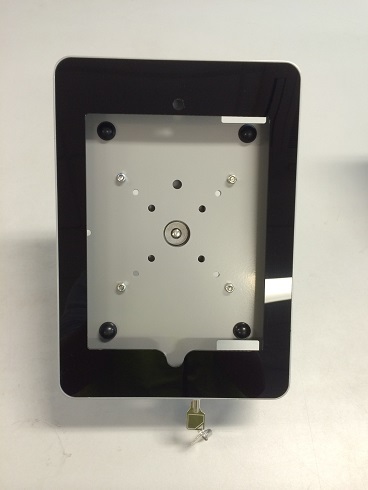 It is designed for iPad 2, 3, 4 or Air and lockable for security. 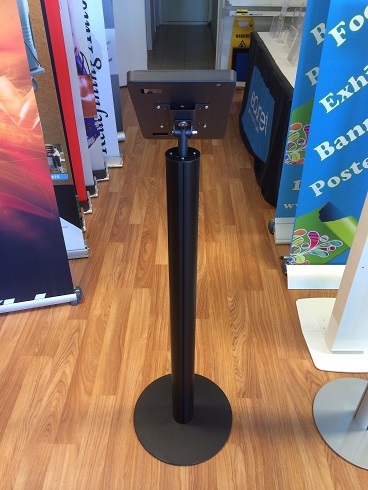 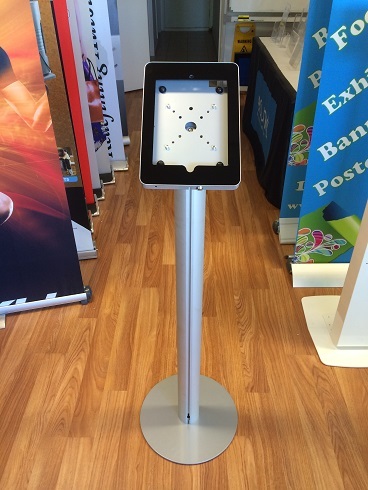 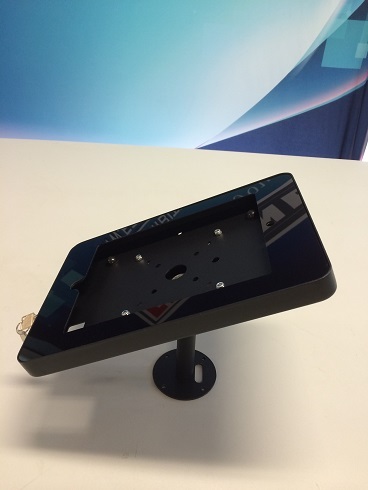 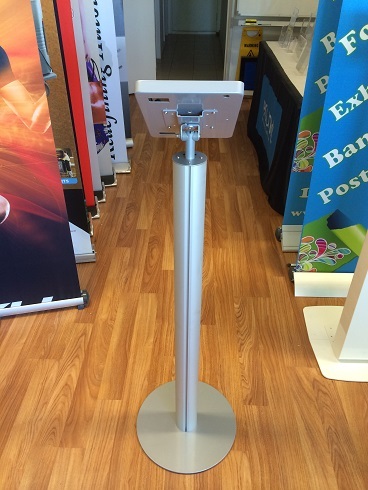 Tabletop iPad Stands are perfect for restaurants or retail shops.